My previous Best Badminton Blog post is one of the most popular posts. But I wrote that two years ago and the badminton blog world has changed. So I thought I would update it for the new year. The Adcocks have Joined the Blogging World! That’s right, Chris and Gabby Adcock, the British mixed doubles darlings, have made a new website which includes a blog. Even cooler they have translations in Chinese, Malay, Indonesia and an Indian language. They definitely know their badminton audience and it’s nice they cater to everyone. They don’t blog a lot, and they are usually short blogs, but they offer some unique insights of one of the world’s top mixed doubles team. Blog post to check out: Our 2020 Olympic Funding Boost. This post gives an insight into how pro players in England struggle to have enough money to pay everyone in their team. Toby is still going strong with his blog (though he tends to have more long facebook updates than posts these days). He’s always been quite open and honest but something is up with him these days. He wrote a blog called Bad Guy where he is going off the rails about *something. * It’s clearly a vent post, and I’m sure the people that know and play with him know what he is talking about. But he never clearly says it, so those of us from afar are left slightly confused. But I love gossip and drama and whatever problem he had you know it was good and catty so I liked that rant. Toby just announced on facebook he’ll be retiring soon so I’m not sure if his blog will last for much longer. But he says he’ll probably stick with badminton so hopefully he’ll keep his blog updated. He hardly ever writes updates anymore, about once every 6-month, but Nicholas keeps at it so he makes the active blogger list again. I still like his mammoth length blog posts detailing all the parts of badminton competition including what he does after the competitions. Blog post to check out: 2016 THAIHOT China Open. I chose this one not only because it is his only blog post in 2018. but because it was the same competition I met Lee Chong Wei! So it was interesting to hear about what the competition was like from a players point-of-view. Also Nick, next time you come to China let me know! I’d love to meet. That’s all I know about the pro’s blogging but what about the amateur players? There are two new entries in this field, both women! These are the chronicles of Jooji, a woman in England who has recently found badminton and got a real passion for it. She’s a beginner and I think any badminton player can relate to her elation, and depression, with learning the sport from scratch. I mean, that was me when this blog started so I can more than relate. I also like it’s a female blogger and she’s totally honest and open about her period, and her hair and other things male players don’t have to worry about. When she started her blog she was a gung-ho blogger posting several times a week. Now her blog posts are getting further apart in time so I hope it doesn’t mean she is losing her passion for playing. Blog post to check out: Friday Club has a new system. Since I’m a spoiled player with my own dedicated 14-court badminton place available to me at all hours, I don’t know anything about systems for clubs to make sure of fair play for a large group with only a few courts. I’ve heard people talk about a “peg system” but she explains it all in this post which I found interesting. Another female blogger Eve lives and plays in in Sydney, Australia (hence the name). Eve talks less about herself and her own training and more about the sport. She has interviews with stringers and players in her club which are interesting. She also writes in a more dry/academic tone, then the more casual tone of most bloggers. But in one post she says she wants to be a sports writer and perhaps that is why. She’s also slowed down on her posting but recently she’s been a bit more active so hopefully she keeps it up. 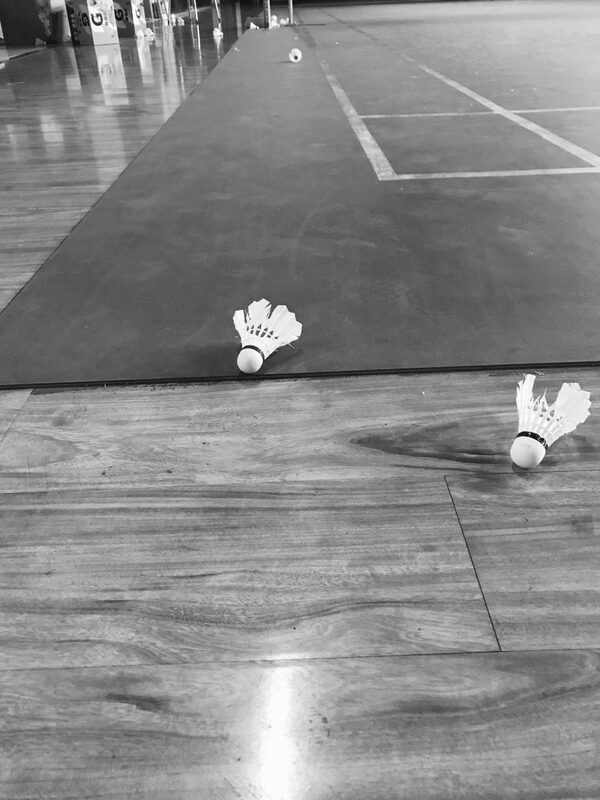 Blog post to check out: Why Longevity matters where she touches on some of the struggles she’s had as a female badminton player. With no updates in about a year, I think Luke Couture’s blog could be considered dead. But I assume he’s still playing badminton so hopefully he’ll blog again. Do you know of any blogs that should be included in the list? Do you have a badminton blog that you recently started? Let me know in the comments! Thanks for mentioning my blog in your post – I’m chuffed! I have been following the Adcocks one too, but didn’t know about some of the others you have mentioned so will be checking them out! I really enjoy reading your one too! Yes my posts have become less frequent as I have started a new job but as I am getting more settled I’m hoping to get back into the swing of things! My new job will allow more time for badminton. Yay! The passion is definitely still there, especially after watching the Yonex badminton semi finals!! Thanks, I think I’m *finally* beginning to feel better. And good! Glad to hear you are still so into it and look forward to your posts! I just started my badminton blog all in Malay Language hehe. I just love your blog, thanks for sharing such a nice information about badminton . i would love your feedback on my blog BadmintonLounge.com, i publish up to date content regarding the game. i also wrote a racket guide and my suggestions. Awesome! Glad to have not only another blogger but a FEMALE blogger! I read everything and I’m a fan. Keep it up! I’ll add yours to the 2019 list I’ll do later this year.